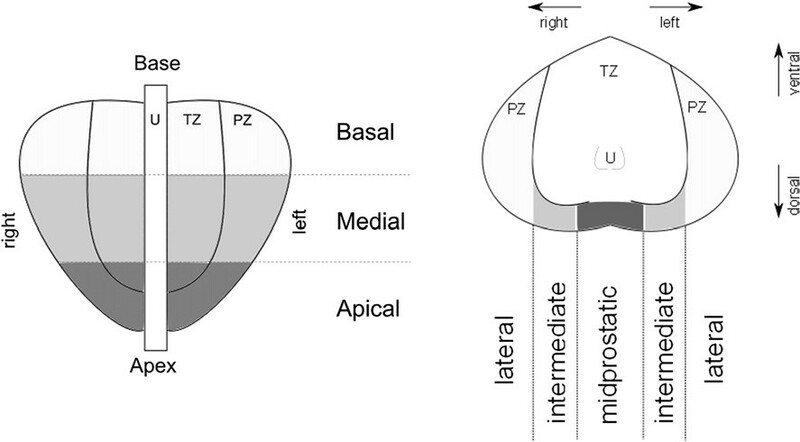 The prostate has long been known to exhibit unique metabolite profiles. 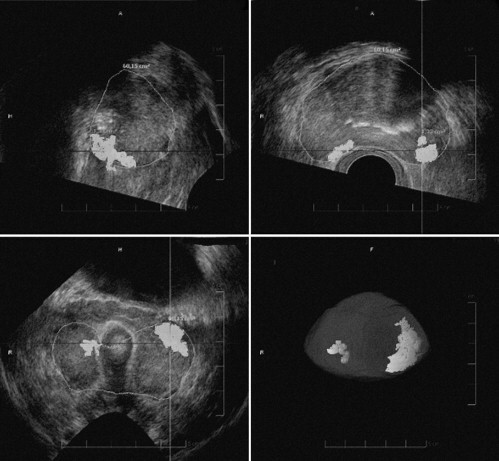 In the last decade, advances in nuclear magnetic resonance spectroscopy and mass spectrometry have been applied toward identifying metabolic alterations in prostate cancer that may provide clinically useful biomarkers. As with genomics and proteomics, advances in technology and bioinformatics have led to the application of metabolomic profiling to prostate cancer—the high throughput evaluation of a large complement of metabolites in the prostate and how they are altered by disease perturbations. Recently, high profile publications have drawn attention to the potential of metabolomic analysis to identify biomarkers for early detection or disease progression from readily accessible body fluids as well as tissue specimens from biopsy and surgery. Worldwide, the number of prostate cancer cases is approaching one million, and it is the sixth leading cause of cancer deaths in men. Both incidence and mortality are increasing in many traditionally low risk countries in Asia, and Central and Eastern Europe. Testing with serum prostate specific antigen has contributed to decreases in prostate cancer mortality in many developed countries, but the test and the diagnostic paradigm suffer from a number of problems, including low specificity of prostate specific antigen, inability to specify a cut-point below which cancer is unlikely, non-trivial false-negative rate for prostate biopsy, and over-diagnosis and over-treatment of relatively indolent tumors with low potential for morbidity or death if left untreated. For men diagnosed with prostate cancer, a number of algorithms primarily based on tumor pathology and prostate specific antigen are available to predict the likely clinical outcome. Although these prediction tools generally work well, there is still significant variability in outcomes for men at both the low and high end of the risk spectrum. Although distinct metabolic characteristics of the prostate have long been known, global metabolomic profiling of prostate cancer is at an early stage. Studies of the metabolic alterations associated with prostate cancer have demonstrated characteristic decreases in citrate and polyamines, and increases in cholines, glycerophospholipids, lactate, and components of a number of pathways of amino acid metabolism. Results for sarcosine have been prominent but inconsistent. However, it is likely that inconsistent findings are not unique to sarcosine. Rather, the attention given to sarcosine has resulted in reports of validation efforts focused on this molecule, whereas reports from other metabolomic profiling studies have focused on discovery and have not emphasized null associations. Metabolite profiles with potential relevance to prostate cancer biology have been identified in tissue, bone, urine, expressed prostatic fluid, and plasma, and have correlated with clinical progression as well as established prognostic attributes. 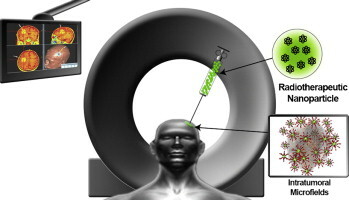 Given the relatively low cost of metabolomic profiling compared with the other ‘omics’ disciplines, and the parallel advances being made in molecular magnetic resonance imaging, metabolomics has great potential for application to detection of clinically significant disease and monitoring disease progression, in both the active surveillance and post-treatment settings. In addition, because of their functional significance, metabolomic biomarkers or profiles hold particular promise for addressing one of the current challenges to personalized medicine: co-development of targeted therapeutics and companion diagnostics. At a major medical conference recently, Myriad presented data from a study which tested biopsy samples from 141 patients treated with electron beam radiation therapy and found that the test score was significantly associated with patients’ outcome and provided information about disease progression beyond standard clinical measures. Although this finding needs to be further validated in a larger patient cohort, the researchers concluded that Prolaris “could be used to select high-risk men undergoing electron beam radiation therapy who may need combination therapy for their clinically localized prostate cancer.” In this study, around half of the cohort was African American. Myriad has also shown in studies that its test can make accurate predictions from tissue from an initial prostate biopsy and from post-prostatectomy. The test has also shown in studies to be superior to the Gleason score, baseline PSA levels, and other prognostic factors in predicting prostate cancer-specific mortality. Myriad has nearly completed hiring a 24-person sales force to drive sales of the test. Over the last year, Myriad has received more than 3,000 orders for its Prolaris test and 350 urologists have ordered it. The test carries a $3,400 price tag. Although the company doesn’t have Medicare coverage yet for Prolaris, Myriad is conducting a study, called PROCEED, that it hopes will sway Medicare contractor Noridian to cover the diagnostic. The company has said it is on track to submit data from this registry to Medicare by late summer and expects to hear a decision about test coverage in calendar year 2014 (PGx Reporter 5/8/2013). During the annual investor day last week, Myriad officials highlighted the gene panel for Prolaris, which features genes involved in cell cycle progression, and noted this as one of the advantages of its test over standard methods. “The Prolaris score measures how fast the tumor is growing. We look at the cell proliferation to look at a component of cancer that is not looked at by current clinical pathologic features,” Bill Rusconi, head of Myriad’s urology division, said. “So, pathology like PSA score … only look at how far the tumor is progressed … [and] how advanced that tumor is. So, that’s only half of the picture because an advanced tumor could have been smoldering for 20 years, and may not go much further in the short term,” he noted. On the other hand, Rusconi added that a less advanced tumor could be progressing very quickly. Another distinguishing point for the Prolaris test, according to Myriad, is that it is indicated for patients who are deemed to be at low and high risk by standard measures. Prostate cancer patients deemed to be at high risk of progression by standard clinical measures wouldn’t qualify for testing by Genomic Health’s test. Rusconi estimated that if Prolaris tested around 200,000 patients with localized prostate cancer to gauge the aggressiveness of their disease, the market opportunity for the test would be $700 million. Myriad executives declined to comment on competing prostate cancer molecular tests, particularly Genomic Health’s product, noting that there isn’t a lot of published data to make any judgments. “We haven’t really seen any published data from any other competitor product. And so, I think in the absence of that, until data have made it through the peer review process and been in publication, it’s always difficult to understand exactly what type of information is available,” Mark Capone, president of Myriad Genetics Laboratories, told investors. In order to develop the prostate cancer test, Genomic Health collaborated with the Cleveland Clinic on six feasibility studies and selected the gene expression panel after analyzing 700 genes on tissue samples from 700 patients. The commercial test analyzes the expression of 17 genes across four biological pathways. Genomic Health executives suggested to investors that in determining the aggressiveness of prostate cancer a test that gauges critical genes in multiple pathways involved in the disease, as opposed to just one pathway, may be the better bet. “After we selected those 700 [candidate] genes, we were completely agnostic as to what the best predictors would be. So, we let the genes do their thing and picked out the best performance,” said Eric Klein, chairman of Glickman Urological and Kidney Institute at the Cleveland Clinic and principal investigator for the original development studies for the Oncotype DX prostate cancer test. Referring to Myriad’s test, which assessed 46 cell cycle progression genes, Klein noted that while cell proliferation is important, it’s not the only pathway. This strategy of picking critical cancer-linked genes from multiple pathways has proven successful when launching Oncotype DX tests for breast cancer and colon cancer recurrence, company officials noted. Genomic Health’s prior experience launching molecular tests for cancer recurrence and the strength of the Oncotype DX brand will likely be advantages for the company. The company plans to conduct a decision impact study as part of its effort to gain reimbursement coverage for the test. Genomic Health is also planning to do additional studies that will explore what level of active surveillance doctors should perform on patients who are deemed by the Oncotype DX test to be at very low or low risk. The list price for the test is $3,820. Although Myriad and Genomic Health are currently the main players in the prostate cancer molecular diagnostics space, the market will become an increasingly crowded one in the coming months. Canadian firm GenomeDx is planning to launch a prostate cancer molecular diagnostic later this year, called Decipher. The company recently presented data at a medical conference on the test’s clinical validity and utility in predicting which patients are at risk of recurrence and metastasis after prostate cancer surgery. The company has said it has 22 studies underway with the Decipher test involving 4,000 patients (PGx Reporter 2/20/2013). BioTheranostics recently published a study in the Proceedings of the National Academy of Sciences about its new 32-gene signature test, dubbed Prostate Cancer Index, which gauges PSA recurrence. 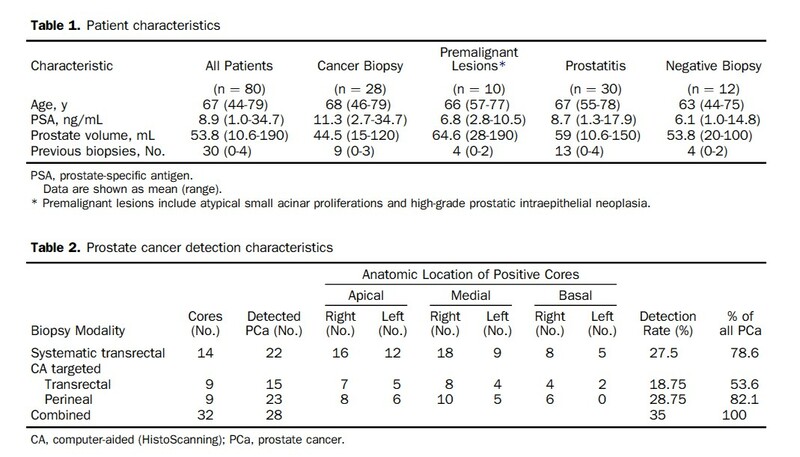 In the study, which involved 270 tumor samples for patients treated with radical prostatectomy, the RT-PCR test (developed in collaboration with Massachusetts General Hospital) predicted PSA recurrence and had added value over standard measures such as Gleason score, tumor stage, surgical margin status, and pre-surgery PSA levels. The only other measure with significant prognostic value was surgical margin status. The test could separate patients into groups based on PSA recurrence and whether they would develop metastatic disease within a 10-year period. PCI found that patients with a high risk score had a 14 percent risk of metastasis, while those in the low-risk group had a zero percent risk of metastasis. “In particular, this information may be useful at the biopsy stage, so that clinicians can better assess which patients can consider active surveillance versus those who should consider immediate treatment,” BioTheranostics CEO Richard Ding told PGx Reporter. BioTheranostics has not yet determined when it will launch PCI. However, the company is planning additional follow-on studies to demonstrate the clinical utility of the test, including one study involving patients on active surveillance after having an initial prostate biopsy. Turna Ray is the editor of GenomeWeb’s Pharmacogenomics Reporter. She covers pharmacogenomics, personalized medicine, and companion diagnostics. E-mail Turna Ray or follow her GenomeWeb Twitter account at @PGxReporter. Dr. Lev-Ari was Director @ SRI International in the mid 1980s. Denong Wang, Ph.D., is an SRI distinguished scientist and senior program director of the Tumor Glycome Laboratoryin the Center for Cancer and Metabolism in SRI Biosciences. Wang’s long-term research interest is in the carbohydrate moieties that are critical for self/non-self recognition and induction of antibody responses. Wang’s team has established multiple platforms of carbohydrate microarrays and introduced these glycomics tools to explore the structural and antigenic diversities of the glycome. The main research focus of his lab is in the immunogenic sugar moieties. 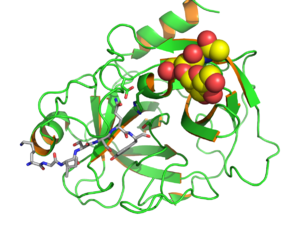 In the past few years, his group has contributed to the identification of immunologically potent glycan markers of SARS-CoV, Bacillus anthracis exosporium, and a number of human cancers. Wang received his Ph.D. in immunology and glycobiology with the late Professor Elvin A. Kabat at Columbia University in 1993. After that, he entered the developing field of post-genomics research. Before joining SRI in 2010, he served as head of the Functional Genomics Division at Columbia University’s Genome Center from 1998 to 2003 and was director of Stanford University’s Tumor Glycome Laboratory from 2007 to 2010. Prostate cancer is the second most common cancer in American men, killing nearly 30,000 per year. 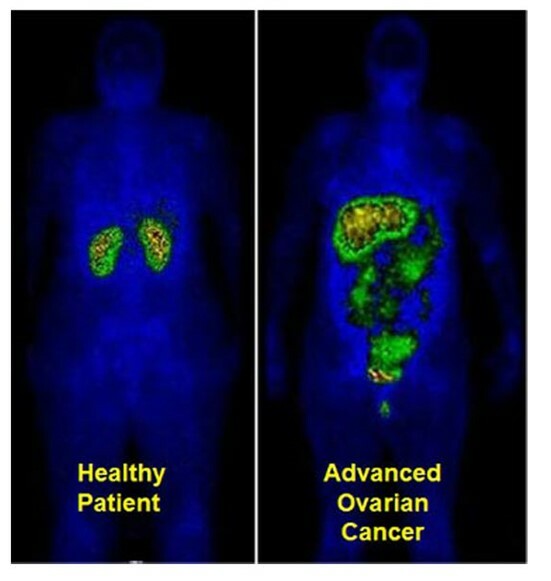 In 2004, I attended a conference where one of the nation’s leading researchers in the field declared that the gold-standard test for this disease was not successful at identifying dangerous invasive tumors. That triggered my interest in how to address the challenge of developing a blood test to detect the deadly form of prostate cancer. If further study confirms that the test is clinically reliable, it can provide a much-needed tool to differentiate between aggressive cancer and the majority of cases, which are slow-growing tumors with a low probability of migrating to other parts of the body (and thus don’t require special treatment, such as radical prostatectomy). The current standard test looks at elevated blood prostate-specific antigen (PSA) levels, known as the PSA test. Dr. Thomas Stamey, an emeritus faculty member and urologist at the Stanford University School of Medicine, published his original findings in 1987 linking elevated blood PSA levels to prostate cancer. In 2004, Dr. Stamey declared that the PSA test was no longer useful for the diagnosis of prostate cancer. Rather, an elevated PSA level is now known to reflect the volume increase of a prostate, which could either be associated with a harmless increase in prostate size called benign prostatic hyperplasia (BPH), or be caused by cancer. I began collaborating with Dr. Stamey and his Stanford colleague Dr. Donna Peehl to look for a new prostate cancer marker, hopefully one that would indicate the presence of aggressive prostate cancer through a blood test. This is a very active area of research, with scientists exploring the idea from (1) a genomics perspective, (2) a proteomics perspective, and (3) a glycomics perspective, the latter of which entails using carbohydrate-based markers to identify cancer. My focus is the third area, where we are concentrating on how the immune system recognizes changes in the carbohydrates found on the surface of cancer cells compared with those on the surface of normal cells. SRI’s Tumor Glycome Laboratory has discovered a marker that appears to be associated with aggressive prostate cancer. The marker is an antibody that is produced against a carbohydrate molecule on the surface of aggressive prostate cancer cells, and is expressed in increasing levels that correlate with cancer severity. We call it a “cryptic” biomarker, since it only becomes an immunological target if something goes awry in the cell, such as a viral infection or the malignant transformation of normal cells to cancer. This biomarker has the potential, with further development, to be used as a test to help diagnose aggressive prostate cancer. It is rewarding to have reached this point in our understanding of prostate cancer and toward a diagnostic test that ultimately could save lives. Our research findings were published last year in the Journal of Proteomics & Bioinformatics (5:090-095, DOI:10.4172/jpb.1000218). Our latest study, published in Drug Development Research, lays the foundation for predicting which prostate cancer patients may develop more aggressive forms of the disease and directs the future design of more effective treatments [14(2):65-80, DOI: 10.1002/ddr.21063]. This study bridges a carbohydrate microarray discovery and a large‐scale serological validation of anti‐oligomannose antibodies as novel serum biomarkers of aggressive prostate cancer (PCa). Experimentally, a Man9‐cluster‐specific enzyme‐linked immunosorbent assay was established to enable sensitive detection of anti‐Man9 antibodies in human sera. A large‐cohort of men with PCa or benign prostatic hyperplasia (BPH) whose sera were banked at Stanford University was characterized using this assay. Subjects included patients with 100% Gleason grade 3 cancer (n = 84), with Gleason grades 4 and/or 5 cancer (n = 204), and BPH controls (n = 135). Radical prostatectomy Gleason grades and biochemical (PSA) recurrence served as key parameters for serum biomarker evaluation. It was found that IgGMan9 and IgMMan9 were widely present in the sera of men with BPH, as well as those with cancer. However, these antibody reactivities were significantly increased in the subjects with the largest volumes of high grade cancer. Detection of serum IgGMan9 and IgMMan9 significantly predicted the clinical outcome of PCa post‐radical prostatectomy. Given these results, we suggest that IgGMan9 and IgMMan9 are novel serum biomarkers for monitoring aggressive progression of PCa. The potential of oligomannosyl antigens as targets for PCa subtyping and targeted immunotherapy is yet to be explored. 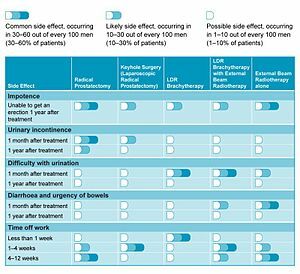 Targets in Prostate Cancer Patients. J Proteomics Bioinform 5: 090-095. Copyright: © 2012 Wang D.
Although tumor-associated abnormal glycosylation has been recognized for decades, information regarding host recognition of the evolving tumor glycome remains elusive. We report here a carbohydrate microarray analysis of a number of tumor-associated carbohydrates for their serum antibody reactivities and potential immunogenicity in humans. These are the precursors, cores and internal sequences of N-glycans. They are usually masked by other sugar moieties and belong to a class of glyco-antigens that are normally “cryptic”. However, viral expression of these carbohydrates may trigger host immune responses. For examples, HIV-1 and SARS-CoV display Man9 clusters and tri- or multi-antennary type II (Galβ1→4GlcNAc) chains (Tri/m-II), respectively; viral neutralizing antibodies often target these sugar moieties. 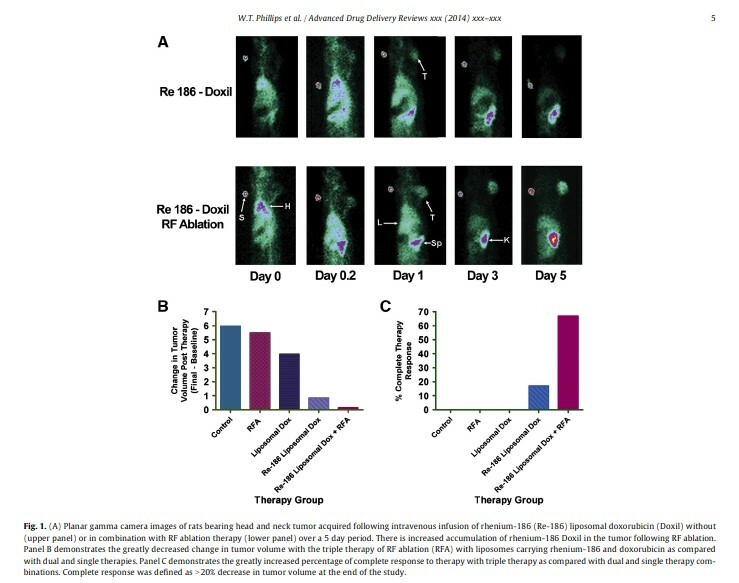 We asked, therefore, whether prostate tumor expression of corresponding carbohydrates triggers antibody responses in vivo. Using carbohydrate microarrays, we analyzed a panel of human sera, including 17 samples from prostate cancer patients and 12 from men with Benign Prostatic Hyperplasia (BPH). We observed that IgG antibodies targeting the Man9- or Tri-/m-II-autoantigens are readily detectable in the sera of men with BPH, as well as those with cancer. Importantly, these antibody activities were selectively increased in prostate cancer patients. Thus, human immune systems actively recognize these N-glycan cryptic carbohydrates and produce targeting antibodies. This finding shads a light on a class of previously less studied immunological targets of human cancers. Identifying the diagnostic, prognostic and therapeutic values of these targets will require further investigation.